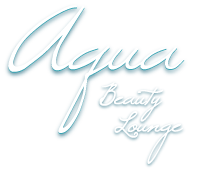 Aqua Beauty Lounge was created to offer our guests a variety of amenities all in one convenient location. Our sanctuary was designed to help treat the mind, body & soul while providing you with all your hair, skin & body needs. From the moment you enter Aqua our concierge team will make sure your visit is an enjoyable & relaxing experience from start to finish. Guests can indulge in our lounge areas where we offer a wide range of beverages & locally baked goods for everyone's palette. Complimentary infused water, Valentine coffee, hot tea or soda is served with any service. Our Lounge menu consists of custom coffee beverages, craft cocktails, beer and wine. Our outdoor Lounge is a tranquil place to rest and relax. You can enjoy the beautiful shores of Pewaukee lake while lounging on your own personal lounger or gathering with a group on our comfy outdoor couch. Our outdoor space is a truly relaxing and tranquil environment. 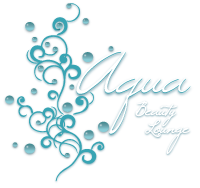 A visit to Aqua Salon offers you a variety of hair services from precision cuts to formal upstyles. Guests can come relax in our newly remodeled salon area. We’ve put a lot of thought into client comfort with a private processing area and quiet washing stations. The salon space is very bright with lots of natural light and has the best views of the lake. Our talented salon team members will make every visit to the salon a memorable one. A visit to Aqua Spa & Med Spa offers you a wide variety of skin and body treatments. The Spa offers full locker rooms with rain showers, disposable razors, hair dryers, shampoo, conditioner, body lotion, body wash, towels, soft robes and footwear. A coed relaxation room with fireplace and infrared sauna are also available with any spa service. The spa was designed with state of the art fixtures to make sure every client feels relaxed and comfortable. Please arrive at least 30 minutes prior to your first appointment to allow ample time for check-in, changing and relaxing in our tranquil environment.